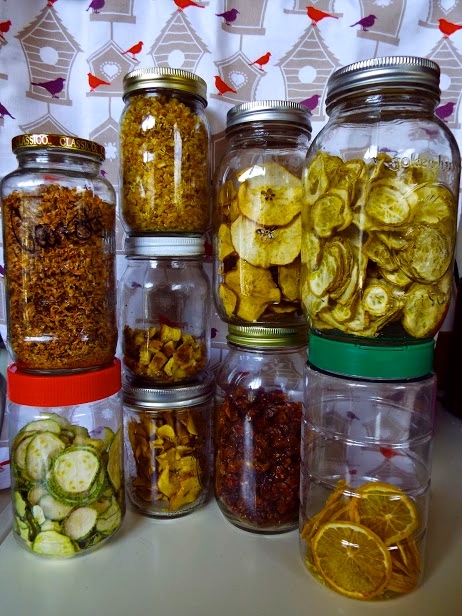 Mimi has been dehydrating fruits and veggies since I was teenager. Although I never appreciated the benefits of dehydrated noms back then, I’ve since turned over a new leaf. Next week I celebrate my 3 year “Healthy Me” Anniversary. After thirty-some-odd years of fast food bingeing, and eating candy bars for lunch I quit processed sugar, GMOs, and processed meals options. Finding healthy alternatives to a bag of chips and fruit snack-packs is tough when you’re on the road as much as I am. Oftentimes I’m subject to 8 hours of travel on a plane, train or automobile. I bet many moms out there can feel the pain, especially when running kids around on the daily. Dehydrated fruit and veggies are not just a great snacking option for the whole family, but also a great way to buy local when the produce is in-season. 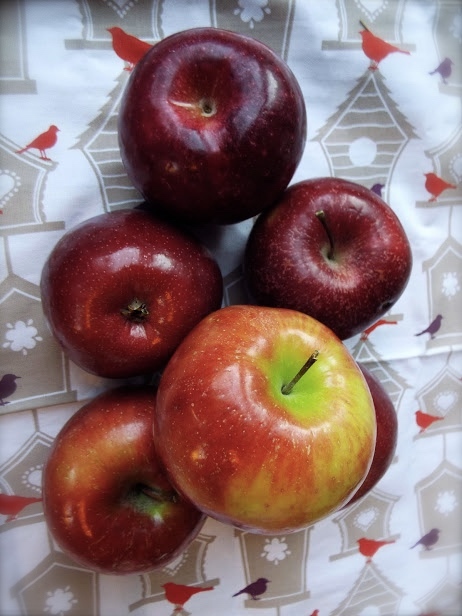 The apples are local picked from the Boulder, CO area. No need to peel or core. Don’t worry about the seeds, they will fall out or can be picked out after drying. So many options! Apples, zucchini, tomatoes, pears, corn, oranges, or carrots for salads! Bonus: Get this…they last indefinitely, when stored correctly. When buying lots of produce I always worry about how long its gonna last versus how fast I can eat it. So worry no more about over doing it on the bulk quantity of what you wish to make. 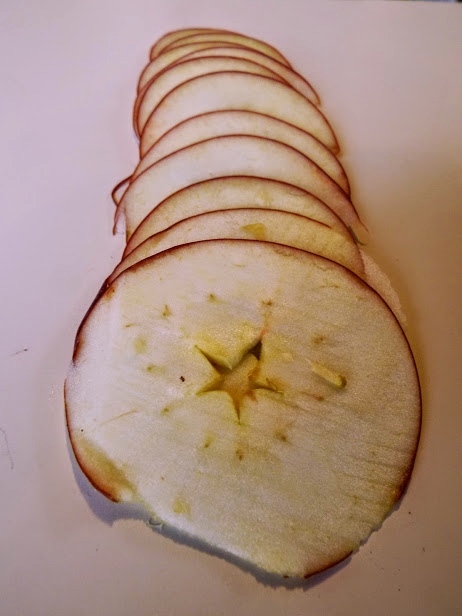 Slice apples in mandolin, add to bowl with lemon juice/water solution to help prevent browning. Sprinkle apple pie spice over the apples before drying. You can use as much or as little as you wish, depending on your taste. Dry til pliable or crisp, your preference. Store in a glass container rather than plastic bags to prevent breakage. 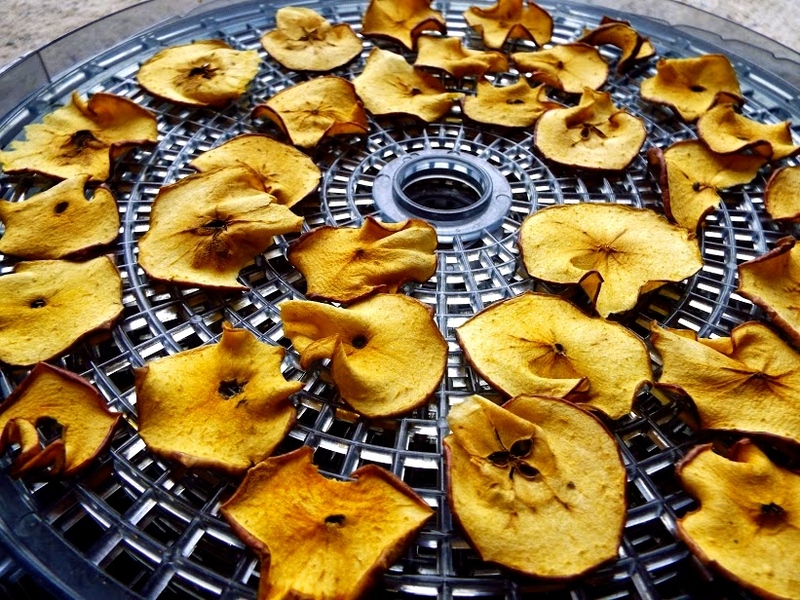 Arrange apples in your dehydrator and time appropriately so you get the perfect crunch, or chewiness. Lime & Chili Apple Crisps: 3 TBL lime juice in water and sprinkle with chili powder…super yummy, too! Up next we’ll have more healthy snacking options like Seed & Nut Butter!